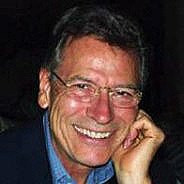 Professional carpet cleaner, Roger Kent created the very first Rug Doctor in his garage. He soon realised that there was a big demand from consumers seeking an affordable carpet cleaning machine that offered both professional performance and excellent cleaning results. 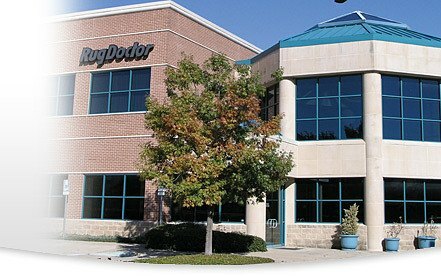 Rug Doctor was created in California in 1972 when company founder, Roger Kent created the very first Rug Doctor machine in his garage. As with many inventors, Roger initially struggled to make headway against larger and more established companies but he continued to fight to gain recognition by focussing on doing a better job and having a superior product. In the end, he created a totally new rental market - and a global brand - making carpet deep cleaning affordable to all. 1. Inject carpet detergent solution under pressure deep into the pile. 3. Extract the dirt released under high vacuum suction. Roger Kent guided Rug Doctor to success by focusing on quality and trust building, he saw Rug Doctor machines evolve from a garage based project to become a household name in the DIY cleaning market. Since Rug Doctor’s humble beginnings, it has continued to pioneer initiatives within the carpet care market, developing its sophisticated rental business model which offers effective, easy to use and affordable carpet cleaning machines to the general public. 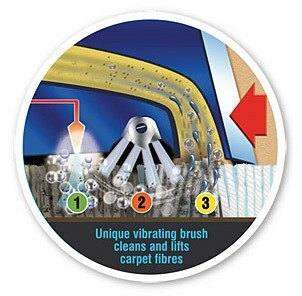 Rug Doctor's unique agitating brush technology has given the company worldwide recognition as one of the world's best carpet cleaning solutions. Rug Doctor has since introduced the blue Rug Doctor Mighty Pro machines, giving consumers and trade alike the ability to purchase their very own machine. 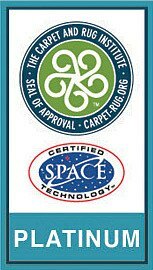 The Carpet and Rug Institute (CRI) of America has awarded Rug Doctor their highest and most prestigious Platinum award.